Please pray for Ukraine. Please write your congressmen and women. Please just educate yourself and see what the New York Times, or CNN, or the BBC is saying about what is going on. Read the articles on KyivPost, the English language news source in Ukraine (whose site is sometimes taken down by the government, although it still manages to keep reappearing). Scroll through these pictures of what Kyiv looks like today. 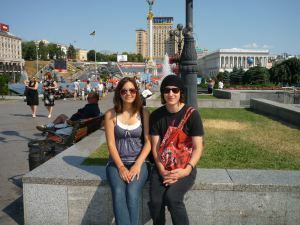 Read my own blog posts about the beautiful country that is Ukraine. Please ask me questions. 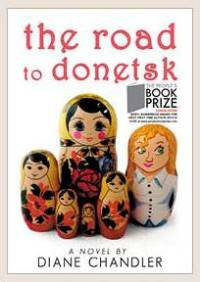 I’m happy to share with you what I love, and what I know, about Ukraine. Maidan Nezalezhnosti, the central square in Kyiv where opposition protesters have been camped out since November 2013. When you read novels about destruction, revolution, or dystopian realities, if well written they cause you to feel real fear. The terror seems alive because, in your mind’s eye, you can imagine what that destruction and turmoil would look like in your own home, your own country. Classics like Fahrenheit 451 and 1984, popular literature like The Hunger Games trilogy, and films like V for Vendetta have all created revolutions, post apocalyptic realities, and extreme violence in the imagined worlds I’ve inhabited while immersed in the stories. This entry was posted in community, culture, geography, Kyiv, Peace Corps, travel and tagged government, news, Ukrainian on 21.02.2014 by taplatt. For Michelle’s birthday bash last weekend, I made a very large pot of mashed potatoes that five of us couldn’t finish. While mashed potatoes are tasty, leftover ones get dry really fast and are hard to reheat without a microwave. I also had some left over cooked red cabbage, so today I decided to attempt one of my host mom’s recipes that she calls пиріжки (pyrizhky), cabbage-stuffed dumpling-like things that are made with a potato-based dough. I also looked up gnocchi recipes and discovered that those have almost the same dough as pyrizhky…what to do? Make both! The gnocchi were so-so, but the pyrizhky were (and still are) delicious — after all, it’s hard to beat moist, chewy, fried potato dumplings. Make sure the mashed potatoes are as smooth as possible. 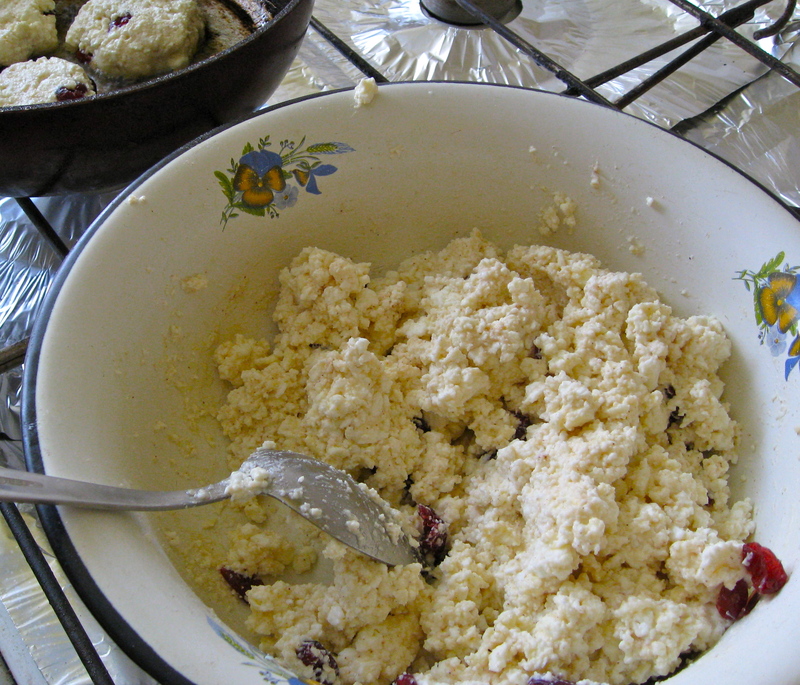 Mix in an egg and add flour gradually, mixing to form a dough. Keep adding flour until dough is no longer sticky. Divide dough into four sections. Roll one section at a time into a log and cut into pieces — small for gnocchi, med-large for pyrizhky. For gnocchi: drop small logs into boiling water. When they float to the top, cook for one more minute and then remove. For pyrizhky: Roll each piece of dough into a ball and then flatten/stretch out into a round, making a small dent in the center. 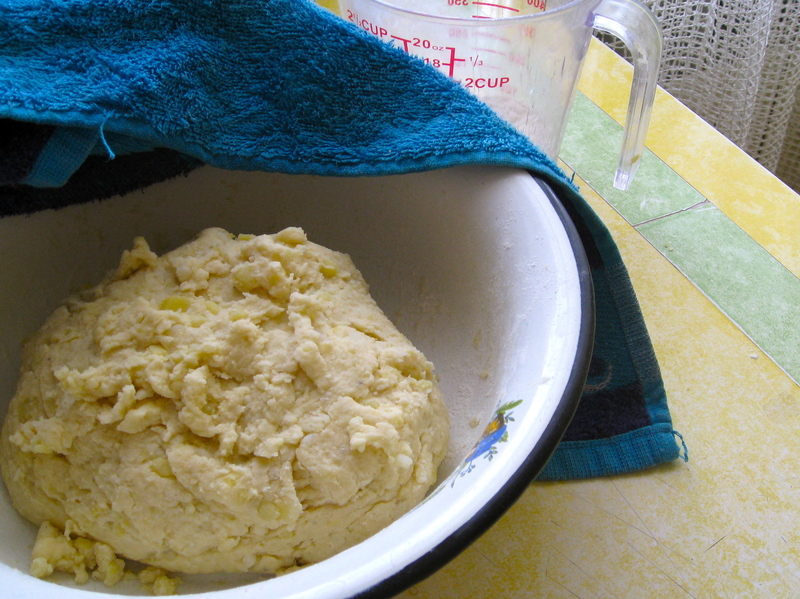 Add a teaspoon of cabbage mixture to the center and pinch the dough closed. 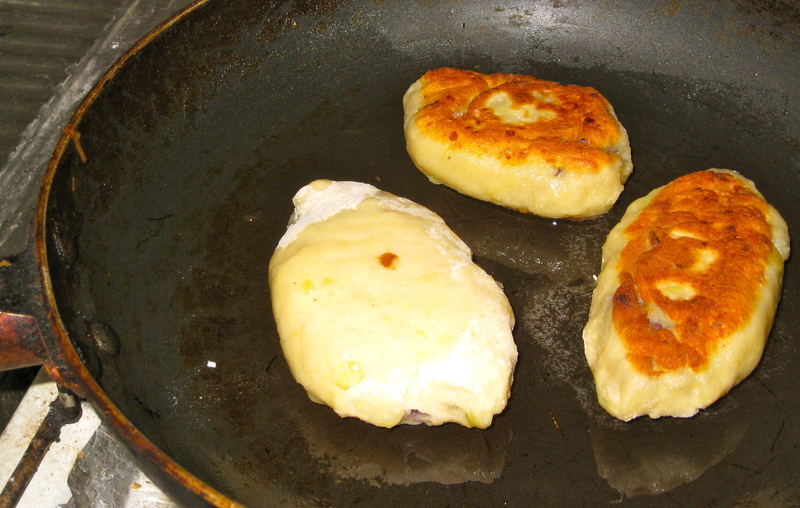 Flatten dumpling and fry in a generous amount of oil until golden-brown on both sides. This entry was posted in culture, food, pictures, recipes and tagged Ukrainian on 09.02.2012 by taplatt. What’s better than regular pancakes? Cheese pancakes! That’s right, Ukrainian сирники (“syrnyky”) are a traditional dish made with the домашній сир (“domashniy syr” = “home cheese” = farmer’s cheese) that many Ukrainian women make and sell alongside their milk at the bazaar. This cheese is mild and pretty low-fat because it’s fresh. It’s a bit pricey in the winter but affordable in the summer (8 UAH for about 2 cups). I’ve wanted to try my hand at these for a while and after returning from almost two weeks away I decided it was time. 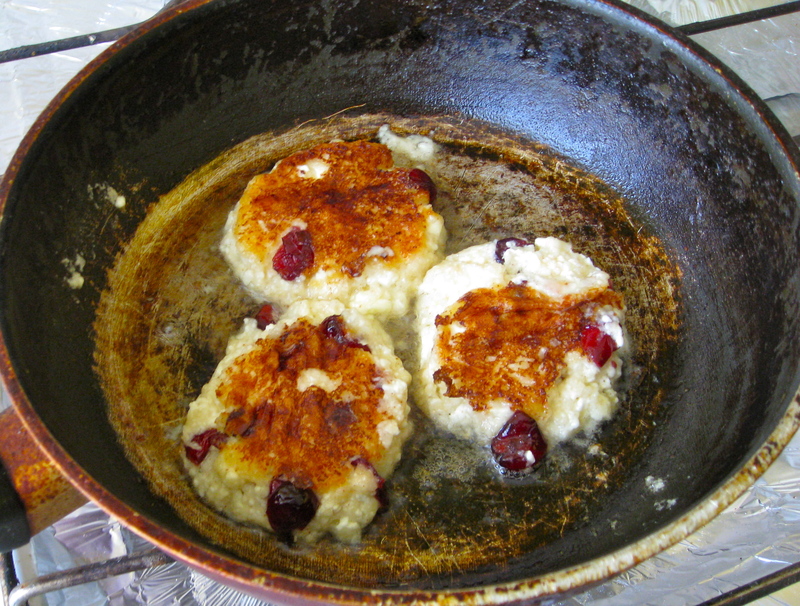 I used dried cranberries, though they’re traditionally made with (or without) raisins. Cinnamon was also a personal addition. 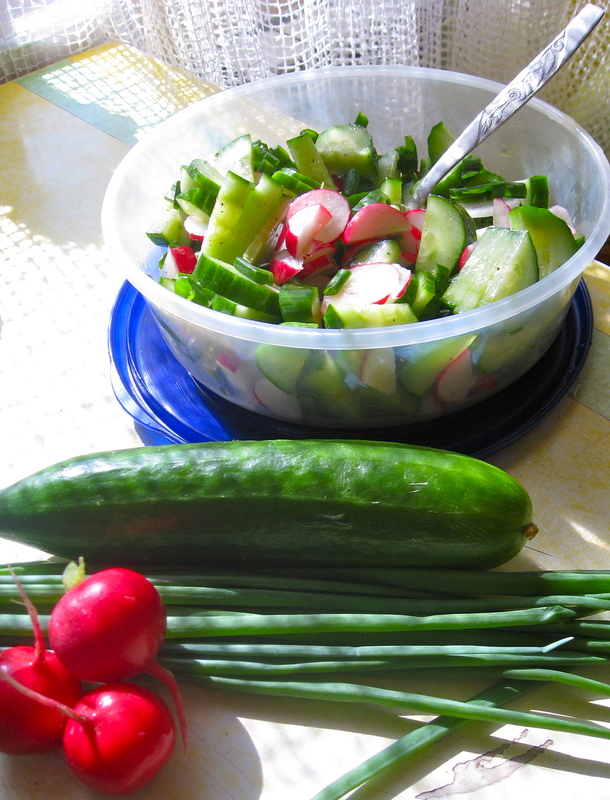 They’re delicious when fresh but also keep well in the fridge. Form into balls and flatten. Fry over low-med heat until both sides are golden-brown; be generous with oil. You can transfer them to paper towels after cooking to soak up some of the oil. Serve plain or with sour cream. This entry was posted in culture, food, health, pictures, recipes and tagged breakfast, brunch, pancakes, Ukrainian on 20.07.2011 by taplatt.